The Rest of India side's batting line-up bears a formidable look with a lot of current India players in the mix. India Test vice-captain Ajinkya Rahane will lead the Rest of India side against Ranji Trophy champions Vidarbha in the Irani Cup match to be played in Nagpur from February 12-16. A day later, Test opener KL Rahul will lead India A in the second unofficial ‘Test’ against the England Lions at Wayanad. The Rest of India side’s batting line-up bears a formidable look with a lot of current India players in the mix. 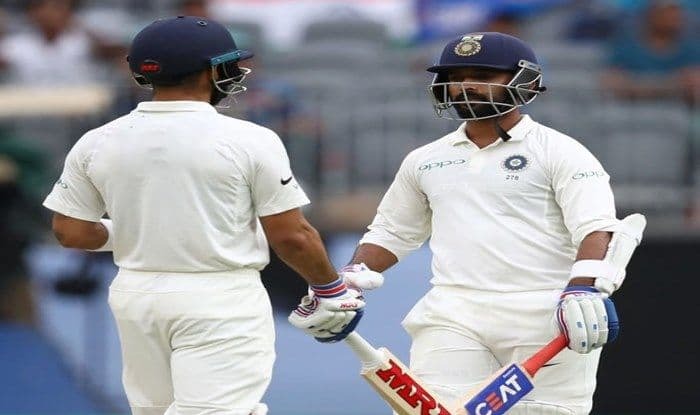 Apart from Rahane, there will be other senior internationals like Mayank Agarwal, who impressed against Australia in the recent Test series, Hanuma Vihari, Shreyas Iyer along with fringe players like wicketkeeper Ishan Kishan and off-spinner Krishnappa Gowtham. As has become the norm now, both Rest of India and India A squad have wrist spinners. Rajasthan’s Rahul Vhahar is in the Rest squad while Punjab’s Mayank Markande is in the A squad. UP’s Ankit Rajpoot, Karnataka’s Ronit More, Kerala’s Sandeep Warrier and Rajasthan’s left-armer Tanveer ul Haq will make the four-pronged pace attack, rewarded for their good show in Ranji Trophy. India A squad: KL Rahul (Captain), AR Easwaran, Priyank Panchal, Ankeet Bawne, Karun Nair, Ricky Bhui, Siddhesh Lad, K.S. Bharat (wicket-keeper), Shahbaz Nadeem, Jalaj Saxena, Mayank Markande, Shardul Thakur, Navdeep Saini, Varun Aaron.